Flying out of London City Airport British Airways do one round trip a day, except Tuesdays, under their CityFlyer brand. Having never flown BA I had no idea what to expect and we duly arrived at London City Airport 90 mins before our flight time of 0635 (yes it was a very late/early start for us). With only a couple of flights that early on a Saturday morning a coffee was grabbed and security negotiated and before we knew it we were ready to board. First off hand luggage BA allows two pieces onboard a small case 56cm x 45cm x 25cm including handles, wheels and pockets. Each passenger is also allowed a smaller handbag/laptop bag with the maximum size of these bags was reduced to 40cm x 30cm x 15cm. It also turns out sometimes they will check the larger of the two into the hold for free as we found out on the return leg but for those of us who struggle to do a few days in Ibiza without a large case, this was fantastic. 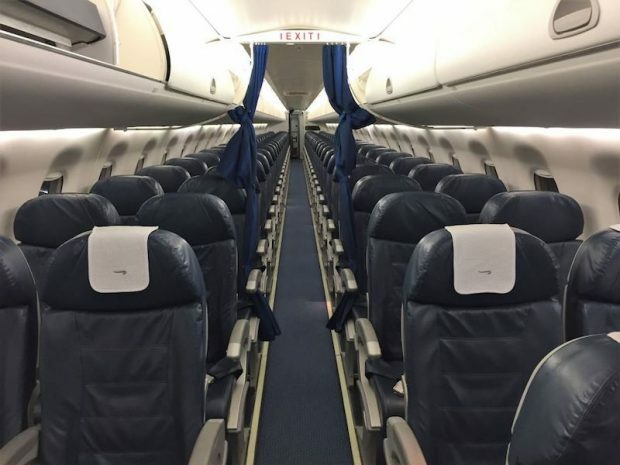 The aircraft used are Embraer 190 which are 4 seats wide and have a capacity of 98 seats in two rows of two with two flight attendants. The front few rows are reserved for executive club members although apart from a curtain separating them from the rest of us were not really sure what extra perks you get. The seats are wider than we are used to with much more noticeable leg room and they recline making a quick snooze on the flight over a much more comfortable affair. Taking off from London City Airport is an odd experience, being on the site of old docks and wharfs as we taxied off the stand the wings were actually over the water at some points. With the takeoff towards the City of London, the climb out off the runway was much more extreme than we had experienced before. The flight apart from being more comfortable than we are used to was a similar timescale at 2hrs 15 mins average both ways. 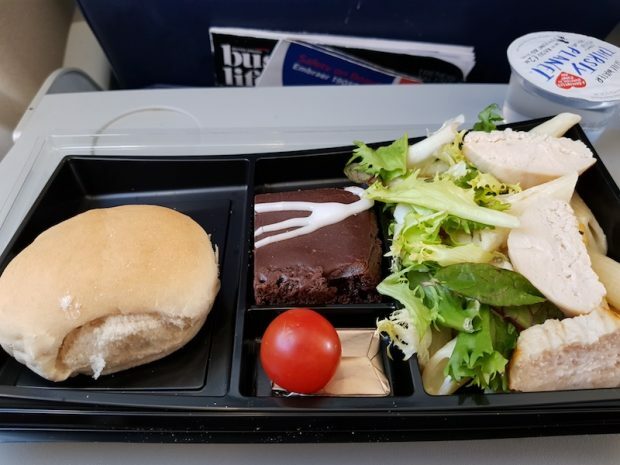 As an added bonus we received complimentary, tea, coffee, fruit juice and a bacon bap on the outbound leg for breakfast and on the return flight lunch was a chicken pasta salad with a chocolate brownie and a roll. Nothing too fancy but it was included in the price although no duty free was on offer. 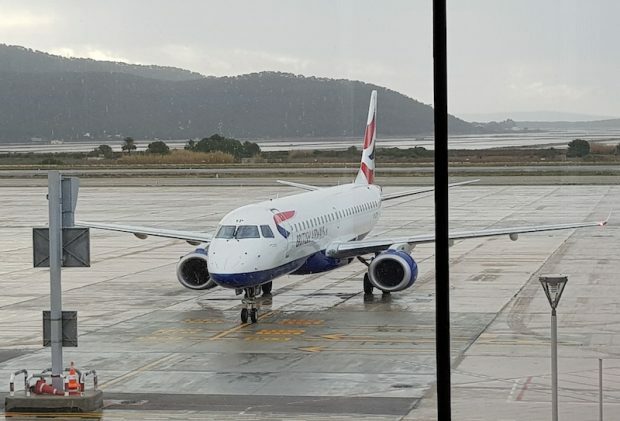 With British Airways now doing summer weekend flights from Bristol and Manchester as more frequent flights from Heathrow, Gatwick and Stanstead we checked out the prices to compare to the low-cost airlines. 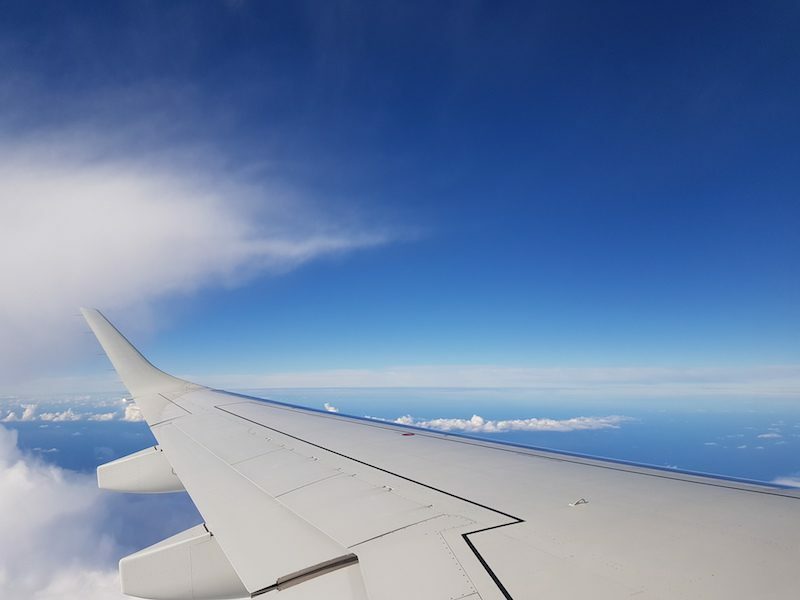 They seem to range from £50 to around £70 each way between May and September which is easily comparable to the low-cost airlines but comes with a little added comfort, a little extra hand luggage, food and non-alcoholic drinks included. 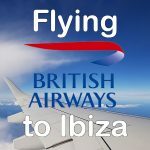 So when you are looking at your summer flights this year why not treat yourself by flying British Airways to Ibiza it may well be as cheap as the low cost airlines but that little more luxurious.